Click here for similar courses in Kyoto (traditional culture), or Nagano (heart of Japan). Has Japanese students in the same building. Get more chances to interact with native speakers, to double the effectiveness of attending language school. Dormitory facilities (choose single, twin or triple rooms) available. Admission Criteria for job-hunting class: Those eligible to apply for a work visa in Japan (Associate and Bachelor Degree holders). Content: Core classes of reading, writing, speaking & listening Japanese. Intermediate and advanced levels involve core classes, plus this job-finding class if you choose this elective. -On-campus orientation sessions held by Japanese companies wishing to hire foreign students. Be able to talk to the people in charge of human resources and schedule an interview with them. -Business Japanese, and 'Honorific' form of the language. -Presentation Skills, Analysis of One's Strengths. -Gain an understanding of Japanese affairs, business manners and the ability to adapt to Japanese society. -Immediately start analyzing different companies, by subscribing to job-hunting websites. -During business visits, have to opportunity to talk to other foreigners already working with Japanese people. Contents: Core classes of reading, writing, speaking & listening. During the 3 months of the July and January term, the student will gain the necessary basic knowledge by strengthening their vocabulary, their listening comprehension and their reading comprehension skills. The students will not only be able to prepare for the test but will also gain a much broader knowledge of the language. Choose between 2 different locations. -Tokyo 2: Near many famous universities, e.g. Waseda University. Will be opening brand new facilities in July 2019. Has the ‘Top University' Program, which specialises in advice for top universities. Very convenient 3 minutes walk from Takadanobaba station (Tokyo Metro line, and JR Yamanote line). -Tokyo 3: In Ikebukuro, famous for anime/manga, 'electric city'. 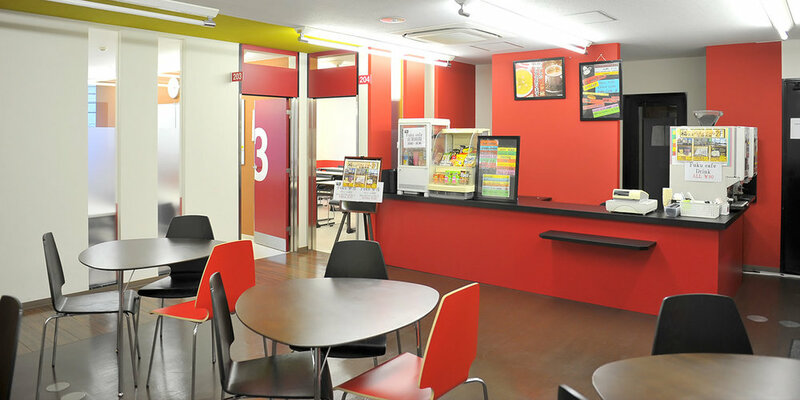 Has Japanese students in the same building, allowing you the chance to speak with native speakers! Only 5 minutes walk from Ikebukuro station (JR and Tokyo Metro, major lines).